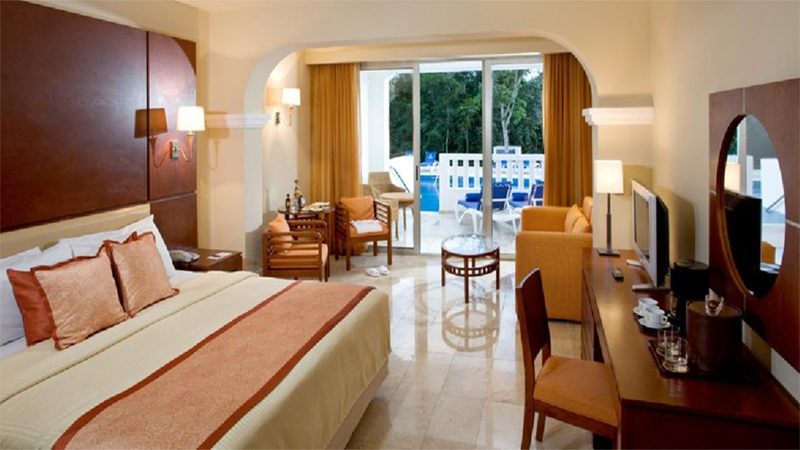 Discover the best of 5-star luxury living at Grand Sunset Princess All Suites Resort and Spa on the heavenly sands of Playa del Carmen. Brimming with fabulous facilities designed to accommodate either a day of relaxation or a heart-pumping sports session, you’ll be spoilt for choice throughout your holiday. Peaceful swimming pools where you can while away the hours with a good book, Jacuzzis for bubbles, or lively pools for families to play together. Plus, tennis courts, exercise classes, kids’ club, games and water sports are all on the daily menu. For total relaxation, treat yourself at the spa where calm and serenity are the focus, with multisensory treatment rooms and a comprehensive beauty salon. The resort has the ultimate all-inclusive package, featuring an exceptional array of dining choices, plus 17 bars and an endless list of exciting activities. There’s something for every palate with cuisines from around the world, including delicious Mexican classics for those who want to taste the local fare. Nightlife offerings at Grand Sunset Princess are a sensational mix of live music, chilled-out bars, and dancing, so whatever your mood, there’ll be an after-dark spot to suit. 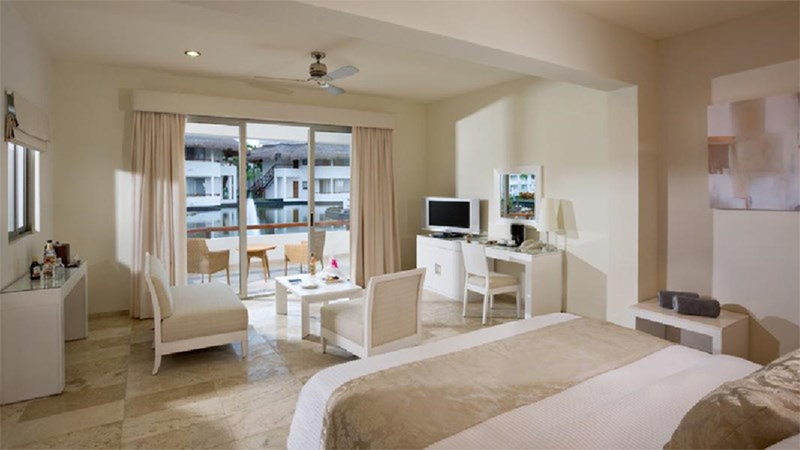 No detail in comfort or decadence has been missed at this paradise resort, creating an idyllic setting for your dream holiday come true. 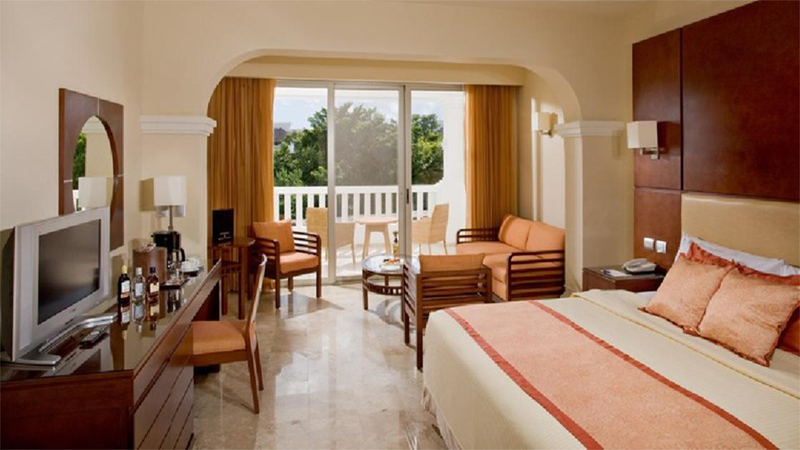 Grand Sunset Princess All Suites Resort and Spa is set along a pristine stretch of sand as part of Playa del Carmen. The sea here is warm and crystal clear – perfect for a refreshing dip! With so much to do within the resort, and two neighbouring resorts to explore during your stay, many guests never want to leave! However, if you do fancy getting out and about, the centre of Playa del Carmen is within easy reach, approximately 15 minutes away by car and there’s a complimentary shuttle service for easy access. Grand Coral Golf Riviera Maya is about 15-minutes’ away, and a list of fantastic excursions and tours can be arranged within resort. 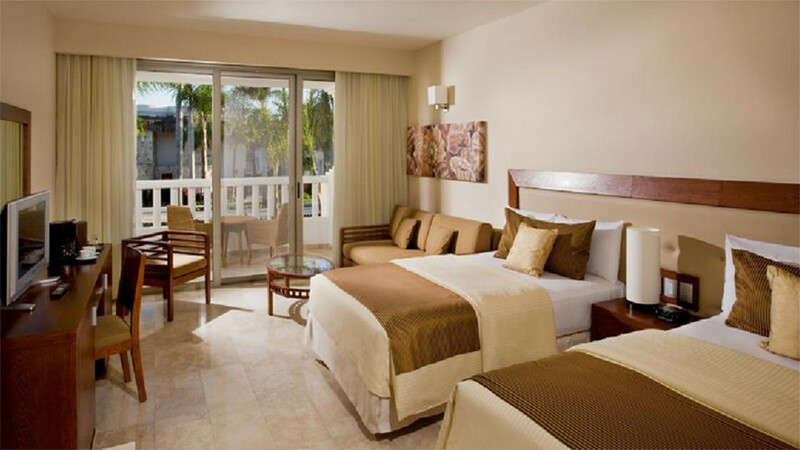 Cancun International Airport is approximately 30km away from Grand Sunset Princess All Suites Resort and Spa. Please note that details are subject to change, and you will be given a full description of the all-inclusive package on arrival into resort.